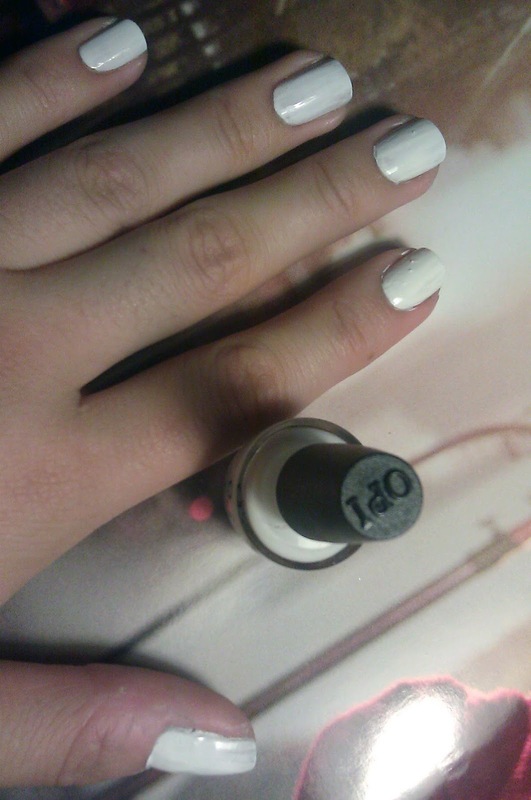 About a month ago, I picked up the OPI Spookettes mini lacquers from my local beauty supply store. I couldn't decide which color to try first, but since a reader recently suggest I do a post about water marbled nails, I thought this would be the perfect excuse to try a few at the same time! There are a lot of good water marbling tutorials on YouTube so if you've never watched one before, check them and find your favorite technique. I only used three of the four in this set; Zom-Body To Love (which glows in the dark! ), I Only Date Werewolves and Mummy Knows Best! 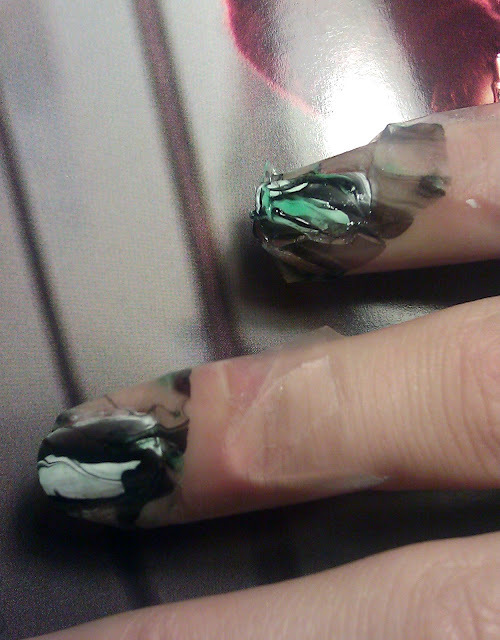 I started off with two coats of Mummy Knows Best. 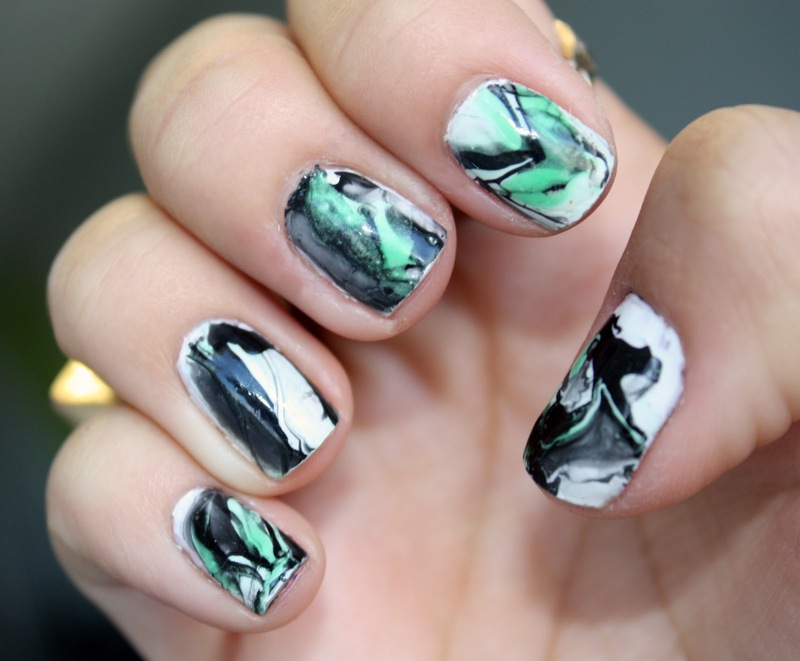 I've tried to do water marbling without protecting the skin around my nails, but it just ended up incredibly messy. Some people like to use Vaseline, but that's just as messy to me so I place Scotch tape around my nails to protect my skin. 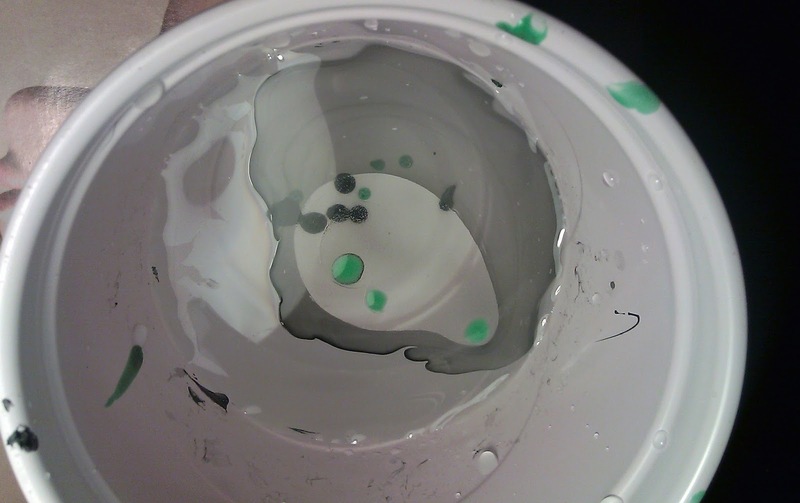 Then I dripped a couple of drops of black then green into my cup of water. I never seem to have toothpicks, so I usually end up using a strand of spaghetti to swirl the colors together. Once I'm happy with the swirl in the cup, I dip! When it comes out, this is what it looks like. I think it looks like ectoplasmic smoke and ghostbusters slime! The perfectly spooky and unexpected Halloween mani, right? Oh, please do! And I hope you'll share photos! Oh man, this is awesome! So trying this. HOLY MOLEY! 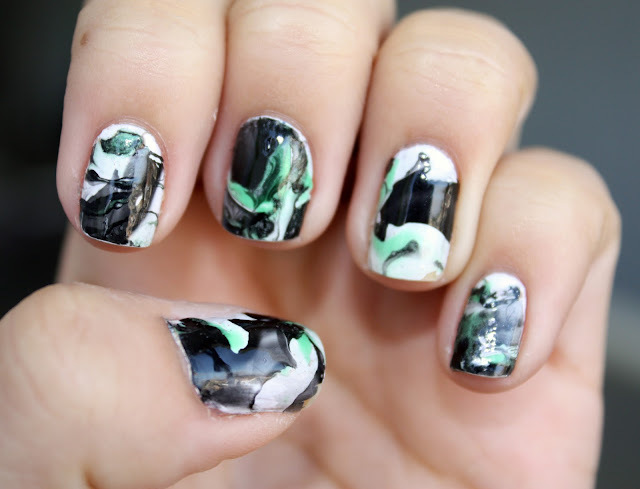 Your manicure posts blow my mind. I love how creative you are. It's so inspiring to me. I need to do something different and unique to my nails ASAP.